Discussion in 'Microsoft Surface Book' started by sspychal, May 3, 2018. I am currently using a Surface Pro 4 and am out of storage and need more power. Going to move up to the SB2 15"
Classic question: Is it worth Nutting up for internal SSD on the SB2 or is an External SSD the better bang for the buck? I currently use a Micro SD and external HD with the Surface Pro to Supplement the small 128GB internal storage and it is annoyingly slow.... Also running 2 monitors off the Dock and one seems to go black during heavy usage. Any advice out there on what route I should take???? I have a SB2 with a 512 gb internal and I purchased the adapter that fits flat against the SB2's edge. SSD over USB would likely be (almost definitely but I haven't seen a 960/970 Pro) slower than the internal but exactly what the performance would be depends on what you intend to do with it and how often you need to use it. Other effects would be some shortening of battery life and less convenient unless you Velcro it to the case . SSD life will also be shortened as the Trim function isn't supported over USB AFAIK. I'd expect you could get/make a better performing external SSD than the T3, like a Samsung 950/960 Evo+ in an external enclosure. I doubt the Pro would be much if any advantage as USB limitations will hinder it. 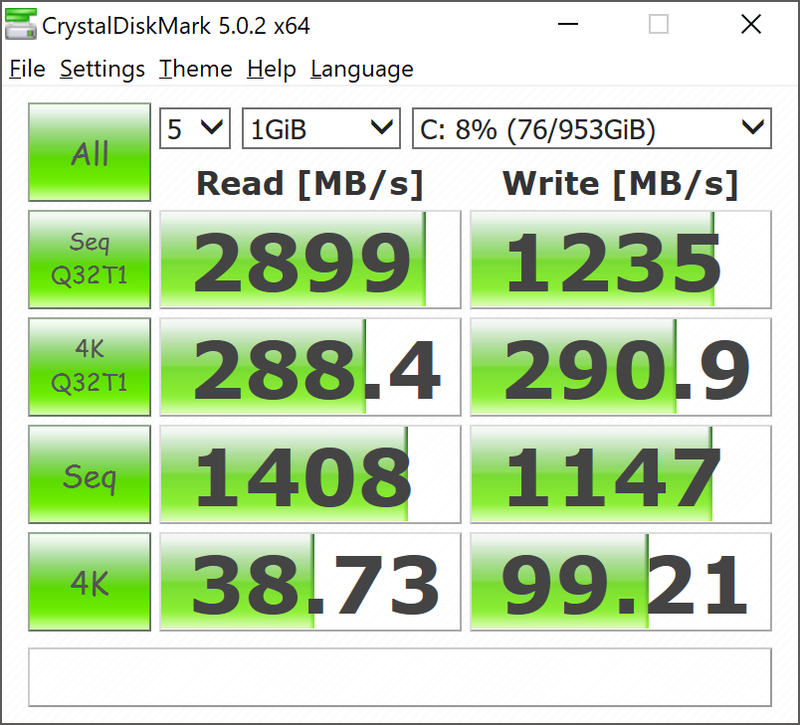 In my own prior testing with the exact same Samsung 850 drive internal vs external the performance was about 50-60% on USB. You'll have to evaluate (or explain) how you intend to use this drive to make a decision although if you can live with it external and a little less performance is ok it's definitely cheaper. ...Any advice out there on what route I should take???? Something else to consider...On the SB, the USB and SD ports are in the base, not the clipboard. So when the clipboard is detached, you lose access to the ports and, of course, any attached storage. But you do retain the ports if you detach and flip the clipboard around and keep the base connected. I always do this if i use as clipboard to get the better battery life. I "treated" myself and have NO Regrets. As others have mentioned you can always opt for a USB Drive or depending on your internet bandwidth, you can of course "Cloud" larger files and folders - keeping your machine nice and neat. I partitioned my 1TB SSD as I tinker with Windows constantly which equates to me re-loading Windows 1-2 times a month. The partition means of course I don't have to reload all of my frequently used files / folders which is a HUGE Time saver. If time permits, I am curious as to which route you choose - perhaps you can let us know what you ended up going with.